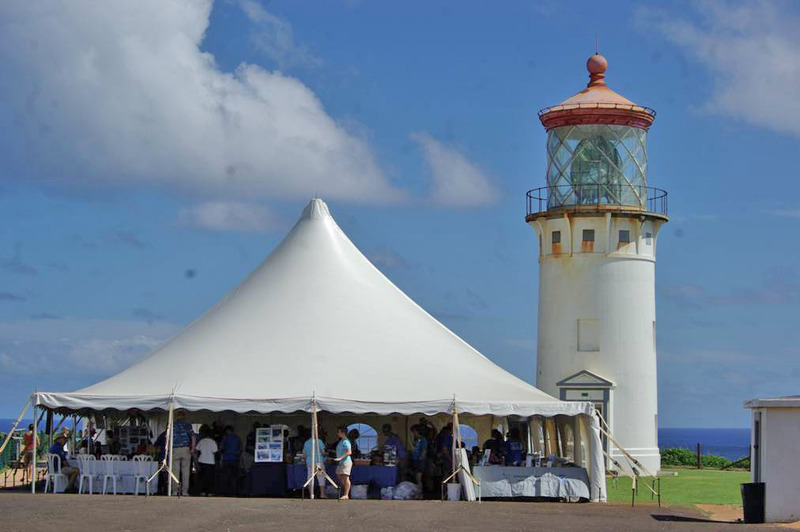 The historic Kilauea Lighthouse, located in the Kilauea Point National Wildlife Refuge, is one of the most popular visitor attractions on Kaua`i. Kaua`i County, Hawaii, (population 63,000) is comprised of four islands: Kaua`i, Ka`ula, Lehua and Ni`ihau. Kaua`i, the “The Garden Isle,” is the northernmost and geologically oldest of the main Hawaiian Islands and is also the most heavily populated. Polynesians settled in Kaua`i around 500 A.D, arriving in their double-hulled canoes from Tahiti and the Marquesas. Kaua`i and Ni`ihau were the only two islands among the main Hawaiian Islands not conquered in battle by King Kamehameha in the early 19th century. In 1778, Captain James Cook became the first European explorer to land on Kaua`i. Traders, planters, and missionaries followed. For more than 100 years, sugar cane and pineapple dominated the economy. One result of the plantation era is Kaua`i’s current diverse population, which includes Chinese, Japanese, Koreans, Spaniards, Germans, Puerto Ricans, Portuguese, Norwegians, and Filipinos, each contributing elements of their own rich cultural heritage. Over the past two centuries, Kaua`i has evolved from an agricultural/fishing economy to one led by tourism. Today more than a million tourists visit the Garden Isle every year, enjoying its rugged and spectacular landscape. The county’s government seat lies in the old sugar plantation town of Lihue, whose Civic Center Historic District was nationally recognized in 1981. The nearby Grove Farm Homestead, also listed on the National Register of Historic Places, features a privately owned museum in the original 1864 Grove home. The historic Kilauea Lighthouse, located in the Kilauea Point National Wildlife Refuge, is one of the most popular visitor attractions on Kaua`i. According to legend, the Alekoko Fishpond, situated near the Huleia National Wildlife Refuge, was built 1,000 years ago by the Menehune, a race of very small people, in one moonlit night. Other attractions include the Kaua`i Museum, which contains exhibits and artifacts of the island’s heritage; Koloa, the site of the first sugar plantation in the Hawaiian Islands; and the Wai`oli Mission House, built in 1837, which captures rural life on the island as it was 170 years ago. Several towns offer walking tours highlighting local historical, natural, archaeological, and cultural sites.